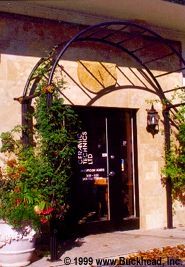 ADAC is about to have a new neighbor: The Galleries of Peachtree Hills, classically designed shops under third-floor pieds-a-terre are under construction on the old cement plant site between ADAC and the rail lines. 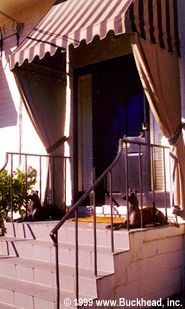 Opening is planned in summer 2004.Call 678-904-0663. ADAC at 351 Peachtree Hills Ave. 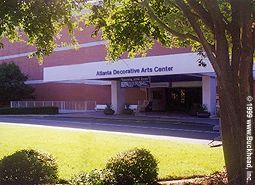 The Atlanta Decorative Arts Center (ADAC) has been at the heart of the Southeastern interior design trade since the early 1960s, with scores of showrooms offering top-name lines of furniture, fabrics, kitchen and bath products, lighting, accessories, and floor and wall coverings. The "Mystique of ADAC" looks at the Buckhead design mecca that lures interior design professionals from across the Southeast and the nation. 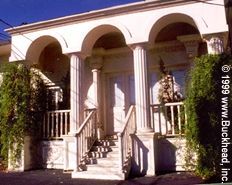 When Robert Alby passed away in 1999, a group of his friends and admirers were determined that he would be remembered for his contributions to the Atlanta and Buckhead communities. 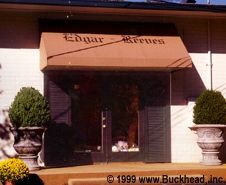 As the longtime manager of the Baker, Knapp & Tubbs furniture showroom at the Atlanta Decorative Arts Center, he was active in the growth of ADAC – 351 Peachtree Hills Ave. – supportive of Southeastern design professionals and encouraged young people who chose interior design as their career. Bob and his wife, Joan, were well know for participating in area design projects and for the Buckhead residences they purchased and -- doing a major portion of the renovation themselves -- turned from ordinary houses into extraordinarily handsome homes. The Robert Alby Student Interior Design Fund was established to recognize superior achievements by talented students with both an annual award and a cash supplement to assist their entry into the professional arena. Now, in collaboration with the faculty of the Atlanta College of Art, the fund has grown substantially. An advisory board composed of area interior designers, showroom personnel, educators and design-related manufacturers will work with the College of Art to select recipients of the awards. As the much-admired manager of the Baker showroom, Alby was on hand as ADAC grew from a relatively small John Portman-owned facility into what is now the major design center of the Southeast. 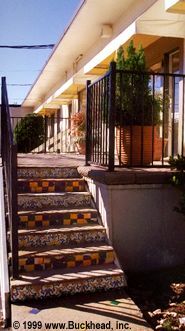 The five-story structure now houses more than 90 major showrooms and has been expanded into adjacent buildings – ADAC West. Contributions to the R.A.S.I.D. Fund may be made by contacting advisory board members Mysty McLelland, vice president and general manager of ADAC, at 404-231-1720, Sue Wislar, ASID, at 404-231-2035, or Peter Pittman, department head for interior design at the Atlanta College of Art, at 404-733-5001, ext. 5160. ADAC West at 349 Peachtree Hills Ave.